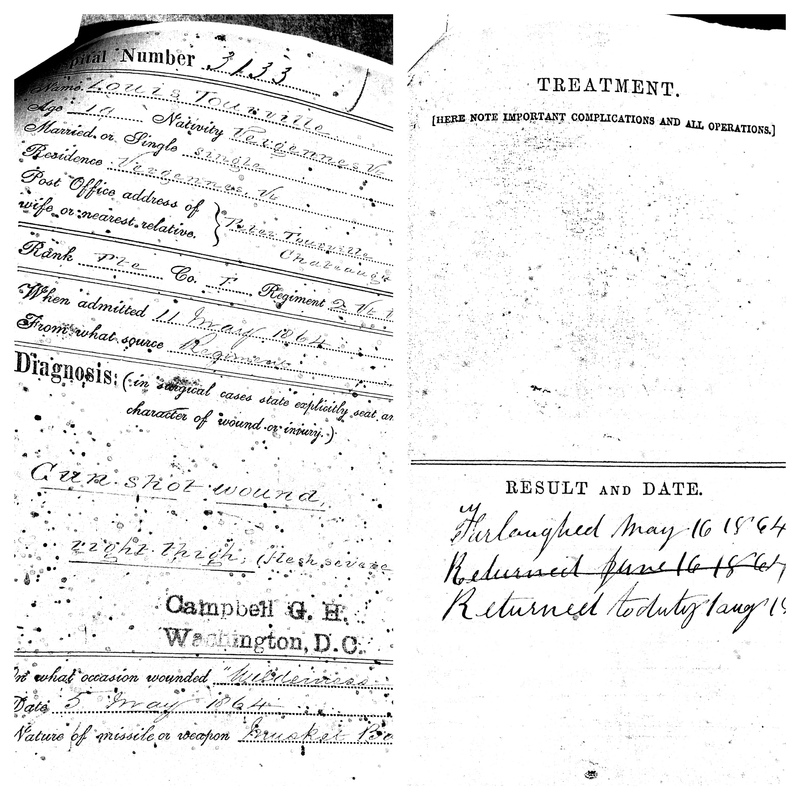 Your ancestor lived in the Montreal parish in 1872? Maybe in Hochelaga, Côte de la Visitation, Côte St. Louis, Côte St. Jean Baptiste or Côte-des-Neiges? Would you like to know if he owned his home or not? Then, you might be interested by this book I found on the Web. It indicates for each lot the name of the owner and the dimensions in the villages mentioned above. The number before each name is the official lot number. If you download the PDF version, you may easily do a search in the document. When compared to the 1871 Canadian Census, this book might be very useful. 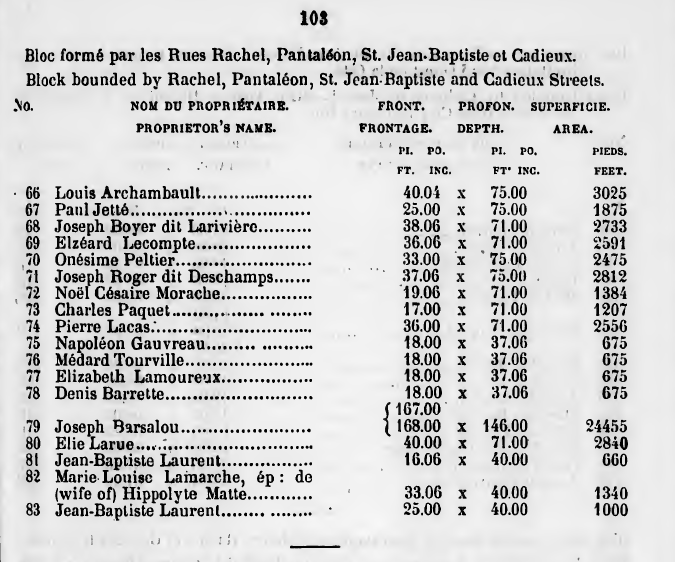 I found the names of Honoré Tourville, who lived in the village of St-Henri as well as Élisabeth Lamoureux, widow of Louis Tourville, her son Médard as well as two of her sons-in-law, Denis Barrette and Napoléon Gauvreau who lived in St-Jean-Baptiste village. In the past and more recently, some of you have asked me about the name Hubou-Tourville. When I was a little girl, looking in the dictionary, I was of course convinced that Anne Hilarion de Costentin Tourville, a count from Normandy, in France, was my ancestor. Well, unfortunately, such is not the case. In 1975, we had the opportunity to ask for our genealogy tree to be made for free from a special program from the ministry of culture (Québec). It took us one year to get a response. I was too young at the time, but looking back, knowing that it would be so easy in our case (it would have taken me 30 minutes), I would have liked to do it myself. When we actually received our genealogy tree, my father said with astonishment: “Hey, I just remembered that my father once told us that our real name was Hubou!” What amazed me is that if my father wouldn’t have seen it that day, he would have probably never told us about it. In New-France, many people had a “dit” name which I could translate by a.k.a. It was often descriptive. For Americans looking for their French-Canadian ancestry, the task can be a little more difficult, not to mention the anglicization of some names (Boisvert to Greenwood for example). Mathieu Hubou, our ancestor, came to which is now Québec City around 1642. Later on, he also adopted a “dit” name which was Deslongchamps. His two sons, Jean-Baptiste and Mathieu were also called Hubou dit Deslongchamps. All the descendents of Mathieu kept the name of Deslongchamps, which that means that the Deslongchamps and the Tourvilles do have the same ancestor. However, the son of Jean-Baptiste, Augustin, was called Hubou dit Tourville. The “dit” name Deslongchamps is easy to figure out. In a contract, Mathieu Hubou is said to be living in the place called “des longs champs” (the place where there are long fields). 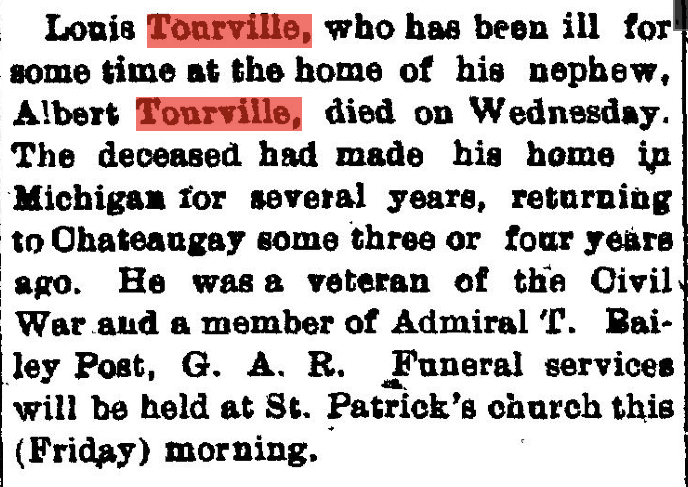 However, the “dit” name Tourville is not descriptive. The first mention of this surname in the church or notary records is at the time of his marriage in 1712. Could it be possible that Augustin adopted it because he admired the Count of Tourville? I think this could be an explanation. 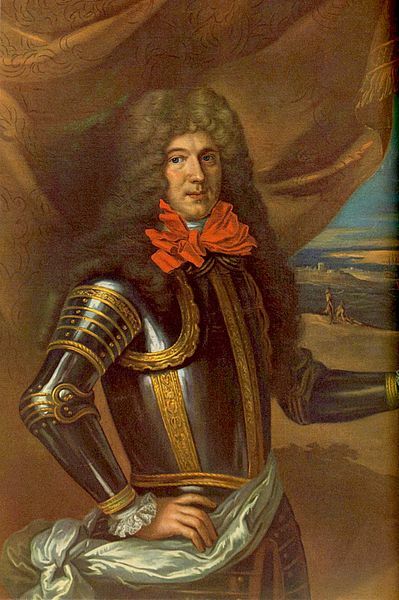 The count of Tourville died in 1701 in France and by the time Augustin was an adult (he was born in 1691), he had surely heard about the victories of Count Tourville’s battles against the English and Dutch fleets. Another family in New France adopted the Tourville name as a “dit” name. Some Dutaut-Tourvilles also emigrated to the United States (mainly to Minnesota) but that family is not related at all to the Hubous even we have the same surname. The first mention of the surname of Tourville for the Duteaus is in 1720.